Religious apologists complain bitterly that atheists and secularists are aggressive and hostile in their criticism of them. I always say: look, when you guys were in charge, you didn’t argue with us, you just burnt us at the stake. Now what we’re doing is, we’re presenting you with some arguments and some challenging questions, and you complain. It's a well known fact that closed-minded people don't like to debate their beliefs. Very well said Mr. Grayling. Very well said Mr. Grayling. A lot of today's religious followers have forgotten or were never taught about religion's dark past and the terror it slew across the land. I pity all the closed-minded ones. 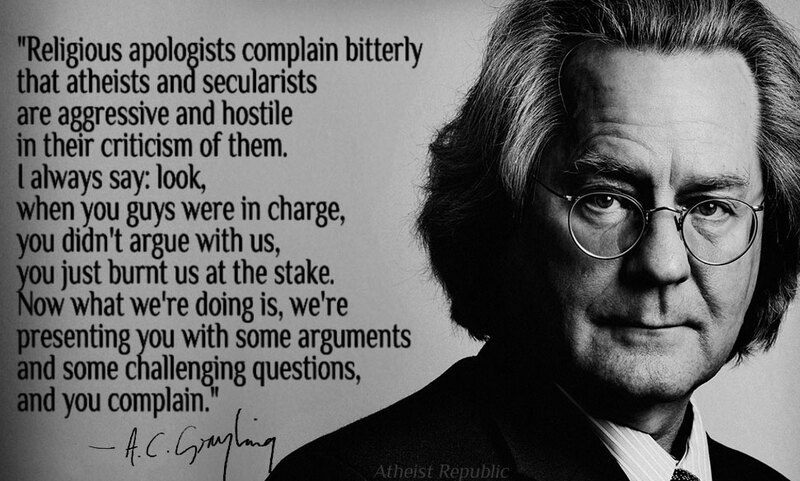 A.C. Grayling's is a very clear argument, and Christians of all description will have a difficult time refuting it. 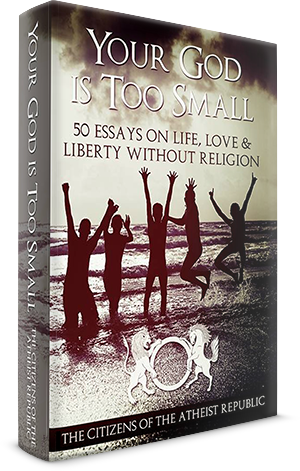 If I were a Christian, I'd give up my faith as it was taught to me, and move towards another metaphyical position and say, "Over time, many people have experienced benign and even life-saving forces at work in their lives. Surely those people aren't all deluded or mad?" 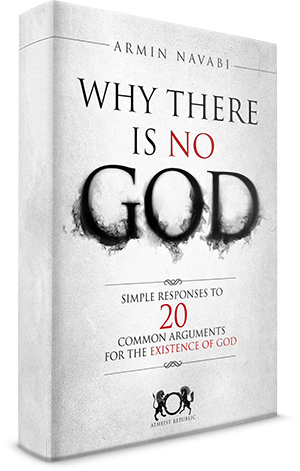 We atheists must counter that argument. Saying 'progressive' Christians are cherry-picking Scripture, while true, doesn't shake this 'spiritual' position. Any suggestions?